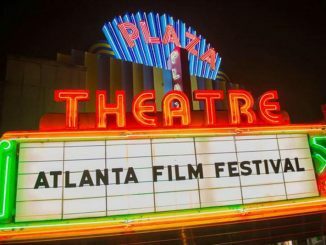 Atlanta-based Roadshow Management Partners is launching a $25 million film fund to back small independent Georgia Film Projects. According to the Atlanta Business Chronicle, the investment fund was founded by Whit Blakeley, a career coach of over 30 years and founder of The Ritz Group, a nonprofit that connects entrepreneurs with private equity. Blakeley has partnered with startup Gramarye Media, which will receive $5 million of the initial funding, to kick off the fund’s first projects. Gramarye aims to change the way film franchises are created by evaluating the potential of book manuscripts before they hit shelves. The film fund will specialize in small budget films that target the 18- to 35-year old demographic, primarily in the horror/thriller, romantic comedy or faith- and value-based genres. Films in these genres tend to cost less and make more money. In the fund’s first phase, Gramarye will give Roadshow’s investors the opportunity to spread their risk over four intellectual properties and turn the hits into films. Phase two will be a $26 million raise that will be spread over 24 projects. Gramarye’s model could save studios money and increase the originality of films, television shows and gaming in an environment where Hollywood too often blows millions on disappointing sequels. Gramarye, a Middle English word for “magical learning,” launched in 2016 in Georgia Tech’s Flashpoint accelerator, where it developed a list of over 40 criteria that successful franchises like “Harry Potter” and “Star Wars” have in common, including “found family.” Once identified, the manuscripts will undergo a one-year incubation process to develop what Adcox calls an “eBook 2.0” under the guidance of Gramarye’s mentorship team. “We can actually farm potential story franchises and provide actionable data that tells you not only what to adapt, but how to adapt it,” Adcox said. A key member of the mentorship team is Alice Neuhauser, Gramarye president and co-founder of Manhattan Beach Studios, an L.A. media campus with over 25 stages. Over the next six months to a year, Gramarye will roll out its first e-books with games, videos and sounds to a select group of readers and assess the response through algorithms developed by Chief Creative Officer Don Dudenhoeffer. “We’ll find out when we go too far, how much music is too much,” Adcox said. When the company has enough data to understand which stories have the potential audience base to be successful movies, TV shows or games, it will look for a studio partner. 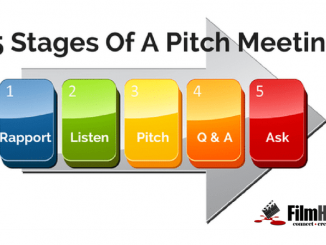 Eventually, the goal is for the company to found a production company to make some of the films itself. “That’s why we’re looking to partner with a studio in town that has stages, but no content,” Adcox said. Gramarye recently opened a $3 million funding round, and once that is closed it plans to hire about 15 employees. Adcox said it has gotten a ton of investment interest from major Hollywood studios. 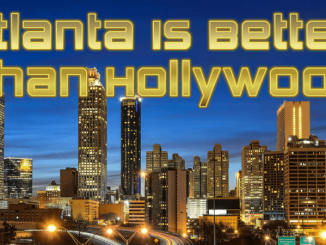 If possible, the company would like to remain in Atlanta.